Ok, so I don’t have a ton of things made (have you seen how many amazing things Tara can crank out?!) but I do have something new that I would like to share with you! I’ve been working on having (sounds awkward, too tired to edit) more rubrics and examples of work displayed on our bulletin board. My students have rubrics in their binders…but I really think they are more powerful when displayed in a place where we can reference them frequently. 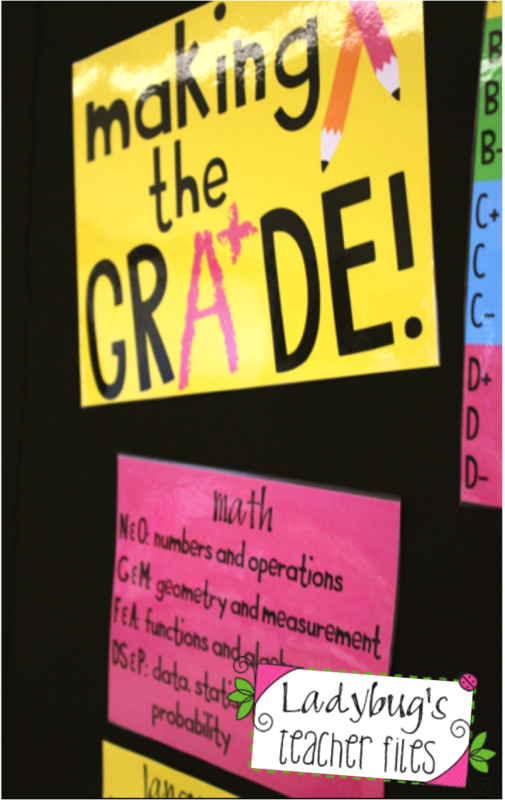 So I’ve started with a little Making the Grade sign for this area, our district’s grading scale, and grading codes that correlate directly to our report cards (I’m using these codes on my students’ papers…for instance Reader’s Responses get both a reading grade and a writing grade and are coded R and W…not my original idea, I learned about it online at a wonderful blog I cannot find again!). I’m going to add work samples next, such as a math homework paper filled out completely, displaying all calculations and work. It’s one of those things I feel like I should have done a long time ago, but I just never thought of having it on display! Do you keep a display like this? 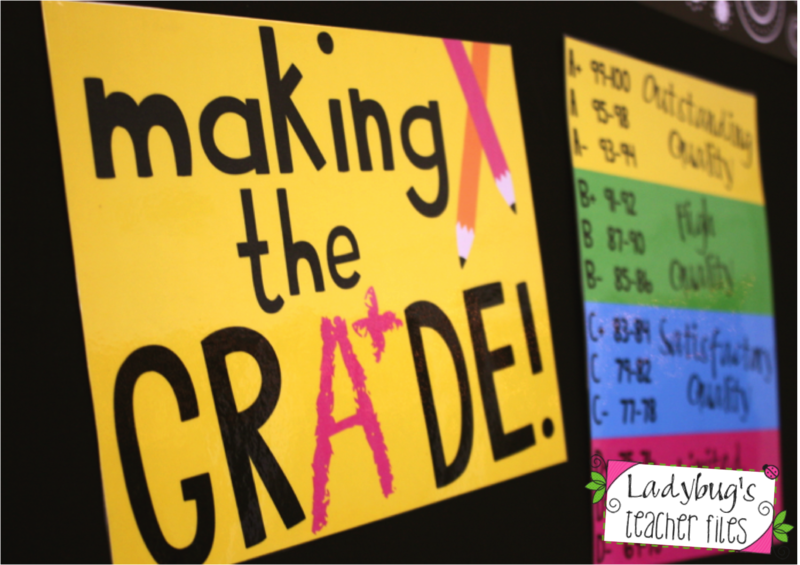 Or do you have a different way of sharing rubrics and grading with your students? Going on a vacation–and so is my blog! New blog features around here! Love this idea Kristen! We don't have to post our grading scales (probably because I teach at a primary school) but I think this would work for kids who have mastered their math facts or got a 100 on a test. Thanks so much! I love your sign, thanks for sharing!! I think I could use it for K, we're working on counting to 100, etc. I have been dying for some cute rubrics for independent reading and writing and for reading and math workshop. I'd love something like this to put up in a nice inobtrusive way – if you ever feel like sharing your file of the rubric, I would love it. You are amazingly great at making things POP right out and grab us! I LOVE this! Hmmmm, I started using rubrics with my 2nd/3rd grade group this year. I hadn't displays them but you've inspired me to. I'll give it a try. 🙂 How can I resist a cute sign? Adorable as always! Thank you for sharing!